Whatever the reason, do not be hasty to get rid of it too quickly and make sure that you get yourself at least a fair market price for it. There are lots of different places that you can go to in order to sell the ring and some of these are better than others as you are more likely to get a better price for your unwanted ring. 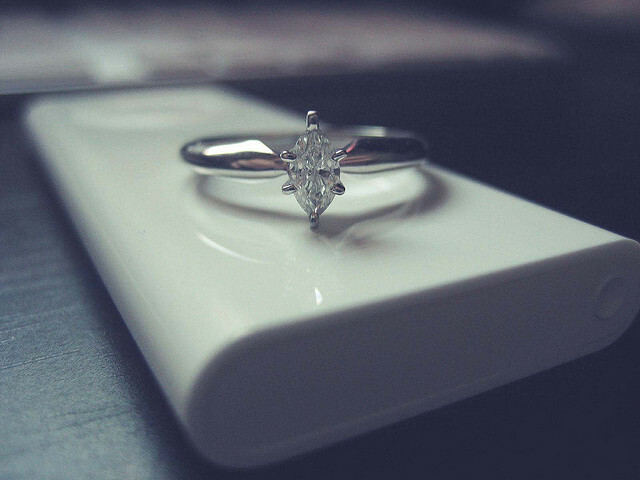 A Pawn Shop is a good place to sell unwanted jewellery if you need quick cash. However, you will not get the best price at a pawn shop, and there is a good chance that if they think they would have trouble selling it, you may end up being offered not much more than the scrap value of the metal. You may even possibly get even less as they need to make a profit as well. Before you go to a pawn shop you will need to know what the ring is worth before you see what they will offer you. Prepare to negotiate tough with them and if you are not happy with the deal that they offer, then be prepared to walk away. If you are not in a rush, then you may want to try some other options first before seeing a pawn broker. If you are not bothered about the price that you get and just want to get rid of the ring as quickly as possible, then a scrap metal dealer is an alternative if you do not have a pawn broker close to you. You will only get less than the market price of the precious metals and stones in the ring as they need to make some money just like the pawn broker. Again this is a good way to get cash quickly, but if you have time then you may want to try some of the other options open to you. There are lots of different auction sites out there that you can use to sell your unwanted jewellery, as well as lots of other unwanted items as well. You can set your reserve price, so the minimum you would accept for the item, list the item and set the time frame. You will then have to wait for the time frame to expire and see what the highest bid is. If the highest bid does not match your reserve then the item does not get sold. If the item does get sold as the highest bid exceeds the reserve, then you will have to keep in mind that a percentage of the sale value will usually go to the auction site. This can average around 4.5% but does depend on the individual site. You may get a good deal with a jewellery dealer, and this all depends on the style of what you are trying to sell. If it is something that the dealer thinks they can sell on easily enough for a good price, then they may be interested in what you are selling. You do need to keep in mind that when you buy a finished piece of jeweler from a shop, then there can be up to 250% mark up in the item, which means the actual value of the item is not as much as you expected. Also bear in mind that a gold engagement ring is going to be worth more than a Palladium engagement ring or one made of Silver. Ultimately your ring will only be worth as much as someone wants to pay for it, unless you sell it for scrap. You could also choose to use one of the more traditional forms of selling and place an advertisement. You can place free ads online at various websites or you can use your local newspaper and see how you get on. If all else fails then why not just keep it in storage and see if the value goes up at a later date. Antique diamond engagement rings can be worth quite a lot of money, so you never know, in the years to come your ring could get quite valuable! Tiffany Richards has written this article for Serendipity Diamonds. Serendipity Diamonds have a wide selection of half eternity rings, palladium engagement rings as well as ones made from gold, platinum, titanium and silver. Tiffany is a jewellery collector who enjoys sharing tips and advice in the blogs and article she writes.